The 2011 Ford Explorer moves into the 21st century with a new look, a powerful engine and smooth, car-like handling. Towing capacity and off-road capability aren't among the 2011 Explorer's strong points. Ford's all-new 2011 Explorer offers the kind of driving experience more and more customers are seeking. While it lacks the brawn of the outgoing, truck-based model, the 2011 Explorer handles on-road driving with far more poise. Innovative comfort and convenience features are abundant, and expected, given the 2011 Explorer's somewhat ambitious pricing. With an all-new platform and drivetrain package, the 2011 Ford Explorer ushers in the evergreen SUV's fifth generation as one of America's favorite family vehicles. The Explorer was overdue for a makeover, the outgoing fourth generation a truck-based anachronism in a market that increasingly favors car-based crossovers. 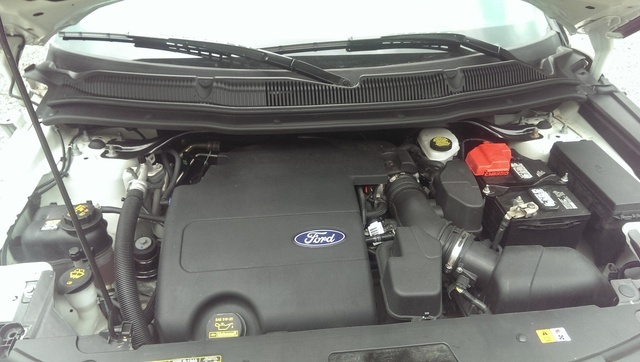 Now, with the new 2011 model, Ford leaps to the front of the pack with an award-winning V6 engine and a much more refined ride. Longer and lower than the 2010 model it replaces, the 2011 Explorer rides on a modified version of Ford's corporate D4 platform, shared with the Flex crossover. This unitized chassis, essentially a beefed-up version of the current Taurus architecture, features greatly improved rigidity compared with the old ladder frame and mimics market leaders like Toyota, whose popular Highlander is essentially a Camry sedan on stilts. The new chassis pays huge dividends in responsiveness and isolation, though traditional SUV virtues like towing capacity are given short shrift, and its rather portly curb weight isn't much of an improvement. The new Explorer's styling is handsome and aggressive but rather more wagon-like than its predecessor, with a long, low roofline. With standard seating for seven and a much-improved design, the 2011 Explorer's cabin has the goods to impress discerning families. Three trim levels are offered, Base, XLT and Limited (the Eddie Bauer model has gone to its reward). A plethora of convenient options, including power-folding seats, active parking assist, rain-sensing wipers and Ford's innovative SYNC and MyTouch computer integration systems, make the 2011 Explorer an ideal traveling companion. Initially, all 2011 Explorers will feature a version of the all-aluminum V6 engine that also sees duty in the Taurus and Flex. With 283 hp and 252 lb-ft of torque on tap, the smooth 3.5-liter six-cylinder does an admirable job of propelling the two-ton-plus SUV. Refinement is nearly on par with the competition and worlds better than the outgoing SOHC 4.0-liter unit. Though acceleration isn't breathtaking, the 2011 Explorer steps off briskly and doesn't want for power on steep grades. The new six-speed automatic transmission deserves plenty of credit for keeping the Explorer feeling sprightly. Especially intelligent programming (all too rare in Ford slushboxes of late) makes for quick and timely shifts while returning decent, though not stellar, fuel economy. Ford offers the 2011 Explorer in both two-wheel and four-wheel-drive versions. Two-wheel-drive models power the front wheels and feature an advanced traction control system designed to minimize wheel slip on slick roads. The optional intelligent 4WD system (which actually has more in common with modern all-wheel-drive than it does with the old Explorer's transfer case arrangement) offers a terrain management feature that allows the driver to optimize performance for different road conditions. Towing capacity is down more than a ton to a maximum of 5,000 lbs, a natural result of the shift away from body-on-frame construction. Whereas the tall, narrow old Explorer didn't exactly earn a reputation for stable handling, the new model brings a far more confident set of driving manners to the table. With a 6-inch-wider track and a much lower center of gravity, the 2011 Explorer takes a firm set into tight corners and displays little body lean. A fully independent suspension, comprised of MacPhearson struts in front and a multi-link setup out back, combines with the strong unitized chassis to deliver a well-controlled and comfortable ride. The rather artificial feel from the electrically assisted power steering, combined with the 2011 Explorer's heft, precludes truly spirited driving. Nor is it an off-roader, with too little ground clearance for rock-hopping and no low-range transfer case. Rather the 2011 Explorer delivers very stable, composed driving dynamics in most situations that drivers will encounter. There are no surprises, especially with Ford's new AdvanceTrac stability program, which uses two high-tech gyroscopes and can actually slow the vehicle if you overcook a corner. Brakes are discs all around with standard antilock control. The 2011 Explorer's spacious cabin features much-improved materials and design. An all-new dash has a slick, integrated look, especially with the optional Sony-branded entertainment system control panel. Base trims feature cloth seats and power features, plus steering-wheel-mounted audio controls for the six-speaker CD stereo. Midlevel Explorer XLTs add a reverse-sensing system, along with 18-inch aluminum wheels and a leather-wrapped steering wheel and gearshift knob. Top-line Limiteds bristle with features like leather seats, automatic climate control, a rear-view camera and the much-ballyhooed MyFord Touch integrated touch-screen navigation system. Space for seven passengers is provided in the 2011 Explorer, though optional second-row buckets reduce seating capacity to six. The added width of the new model, combined with better packaging, results in an interior that feels more spacious and comfortable. It has tons of elbow room, and the second row gets a big upgrade in legroom. The third row shrinks somewhat, relegating it to child-carrying duty. Both the second and third rows fold flat for carrying outsize cargo, and 21 cubic feet of space are provided behind the third row when in use, a significant upgrade. With families in mind, Ford has designed the 2011 Explorer with safety features aplenty. Standard front, side and curtain airbags will be augmented later in the model year with airbag-equipped inflating seat-belts in the second row, a world first. Standard traction and stability control, plus a post-crash alert system also contribute to peace of mind. Neither the government nor the Insurance Institute for Highway Safety has crash-tested the new Explorer. Owners haven't yet had a chance to sound off on the all-new 2011 Explorer. Professional reviewers, however, find that the new model is a vast improvement over the outgoing Explorer, especially in terms of ride and handling. User reviews for the outgoing 2010 Explorer turn up several complaints, including sub-par engine performance, that will likely be rectified with the new model. What's your take on the 2011 Ford Explorer? 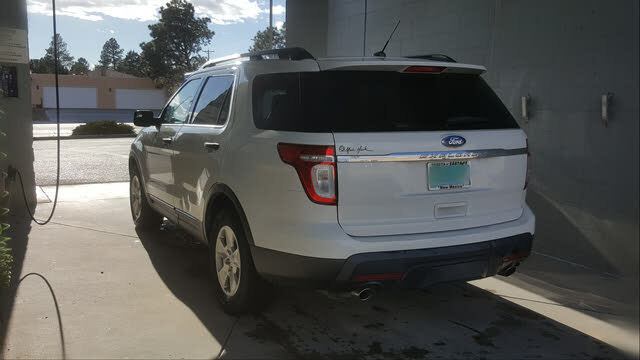 Users ranked 2011 Ford Explorer against other cars which they drove/owned. Each ranking was based on 9 categories. Here is the summary of top rankings. Have you driven a 2011 Ford Explorer? Why Was My Car Removed From You Site? 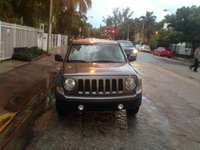 Why is my car no longer in your site for sale?